Will this spell the end for Dianne Abbott's political career? 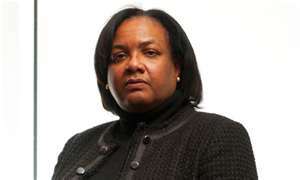 Shadow minister for public health, Dianne Abbott is at the centre of another race row after tweeting ‘white people love to play divide and rule’ during a conversation on Twitter about the sentencing of Stephen Lawrence’s murderers. Abbott, who was at the centre of a previous race row in May last year when she described Nick Clegg and David Cameron as ‘two posh white boys (read Diane Abbott hypocritically attacked for ‘two posh white boys’ comment), is again in the media spotlight after tweeting that ‘white people love to play divide and rule’. The context of the tweet discussion occurred when freelance journalist Bim Adewunmi commented on Twitter about the sentencing of Gary Dobson and David Norris for the murder of Stephen Lawrence. Abbott claims that her views were taken out of context and apologised for any offence that she may have caused but it seems that the political damage has already been done. Former MP George Galloway has been the only person so far to have defended Abbott, saying “Diane Abbott has been my friend for 25 years; only the obtuse would think her a “racist“”. This is not the first time Abbott has been at the centre of controversy. In May 2010 she cause uproar after describing Nick Clegg and David Cameron as “Two posh white boys”, referring to the narrow leadership of British politics. She also clashed with BBC’s This Week presenter, Andrew Neil after he quoted her saying “West Indian mums will go to the wall for their children”, in defence of her sending her children to a private school. Apparently, Neil interpreted her statement as implying that white mothers would not do the same. The Daily Mail article quotes political blogger Guido Fawkes, who said, “She is a shadow minister and represents a constituency that is 61% white.” In this respects as I have stated in my previous article referring to her ‘posh white boys’ comment, Abbott is very naive to make racial statements knowing full well that they will be taken out of context. When I wrote the article White victimhood: The new racism, I set out to explain how racism has been severely diluted by the British government and media, and the main victims are now being accused of being racist themselves. A study was conducted by sociologists from Harvard and Tufts universities in America which found that white Americans now see themselves as victims of racism and believe that black people have ‘gained’ the advantage over them despite African-Americans still being subjected to racial discrimination in the job market, and suffering poverty rates at nearly twice the levels of whites. The same trend can be found in Britain, with the media now portraying whites as the main victims of racism. Whites now believe that black and minority ethnic groups are promoted at work because of the colour of their skin. They believe, contrary to the statistics that they are the main victims of racism and discrimination in housing, health care, social benefits and government grants. Whites are now saying it is racist for black people to have exclusive black groups such as the Black Police Association, Black Unions and social groups etc. What is ignored is why these black associations and groups are needed in the first place, namely racism. It is ignored that black people have to work twice as hard to get promoted than their white counterparts because of racism. It is ignored that the statistics clearly show that black and minority ethnic groups live in the most deprived areas because of racism. It is ignored that black people are the main victims of racist attacks. Who is to blame for this false perception that whites now have that they are victims? The media? Or is it that this new white victim mentality absolves them of dealing with their own racism towards other races? As I said in that article, white victimhood is a new dangerous form of racism which serves to reverse the gains of racial equality. In another article where I discussed this issue called Black councillor is convicted of racism: Is this the end of racism as we know it?, a black councillor was convicted of racism for referring to an Asian colleague as a ‘coconut‘, because she was supporting cuts for ethnic minority projects. This is how ridiculous the definition of racism has been reduced to in Britain. However, it has to be said that black and minority ethnic groups only have themselves to blame. Jews will not allow anti-semitism to be defined by Germans, women would never allow men to define sexism, yet black and minority ethnic groups take their definition of themselves and racism from the very people who practice it. It is no wonder racism has been turned on its head and whites now pass themselves off as victims. The definition of racism in its historical context has always been about one race believing themself to be superior to another. No other race has demonstrated this zeal to prove this than Europeans. To this day European scientists have an obsession to seek genetic proof that they are superior to other races. An example of this was when Dr James Watson, a Nobel prize winner and DNA pioneer sparked controversy when he was quoted in the Sunday Times as saying that Africans were inferior to Europeans. Another example is the British media’s obsession with the birth rates of non-whites. It is now ironic that the victims of racism are now being labelled racists. In today’s racism definition, both Martin Luther King and Malcolm X, along with all civil rights leaders would be done for racism. That is how devilish this new interpretation of racism has become. Abbott will probably be sacked as a result of her comments, and no doubt this will serve as a warning to all black and minority ethnic MPs or community leaders. This entry was posted in National News and tagged Dianne Abbott, Dianne Abbott is at the centre of another race row after tweeting ‘white people love to play divide and rule’. Bookmark the permalink.